The Humboldt neighborhood Masonic Lodge was established in 1913. For years it was a fixture of the community, hosting not just gatherings of the local Masons, but balls, meetings, political rallies, Satanic rituals, and other social gatherings. After World War I and World War II it also served as a boarding house for returning veterans who found themselves without a home. 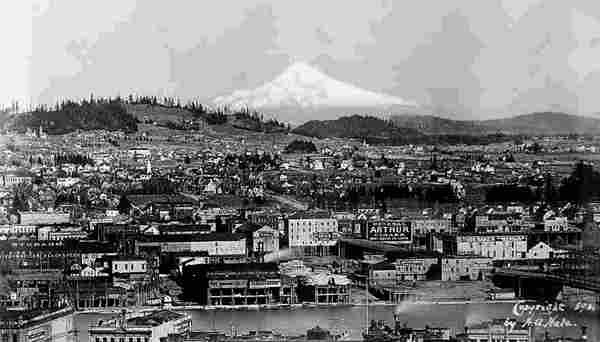 In 1972, the Masonic Society of Portland left the lodge, opting for a newer, larger facility downtown. In the decades following its closure, the lodge fell into disrepair, and became a residence for squatters, rats, insects, and wayward ghosts. In 2012, Booker Property Holdings purchased the lodge from its 113-year-old owner, T. Humboldt Neighborhood (the namesake of the community). After a year of renovations, including a thorough ghost-busting, the lodge reopened in June of 2013 as a unique, vintage hotel.